While there is plenty of action that remains to be witnessed in the ongoing 2018 MotoGP season, there has been much speculation about who will, could, and may not ride for the teams that will compete in the championship next year. There have also been a bunch of announcements by teams and riders, including the parting of ways of Tech3 and Yamaha. Here, we've compiled a list of who is racing where in 2019, team by team, as of June 8, 2018. Marc Marquez has already won the championship four times with Repsol Honda and is currently leading the 2018 championship too. There's no doubt then, that the team would be very sorry to see him leave, which is why they are holding onto him until 2020. 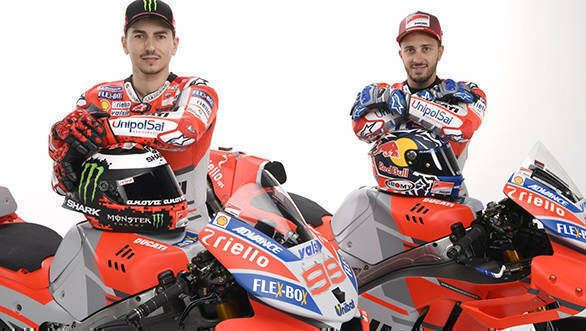 Jorge Lorenzo is the big surprise that Honda Racing Corporation has brought to the 2019 grid. Lorenzo's future in MotoGP and his Ducati team had been uncertain until his win at Mugello last weekend. 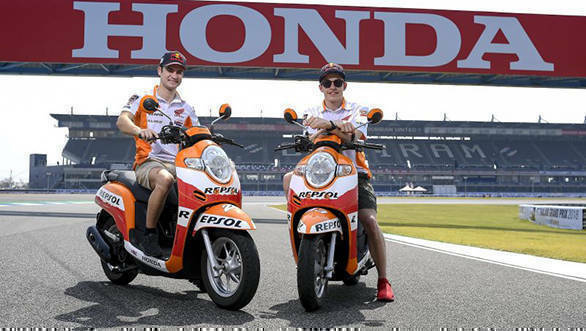 And Honda were the ones celebrating the hardest as they announced the Mallorcan as their second rider for the 2019 season, replacing Dani Pedrosa. Before Mugello, he had only finished in the top 10 once in the six races so far. So it will be interesting to see how he takes to the to the Honda RC213V and having MM93 as his teammate. 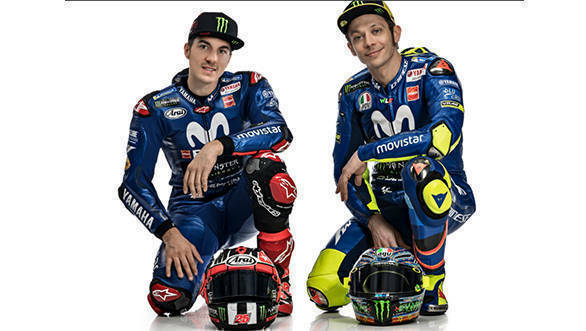 Valentino Rossi's announcement that he has extended his contract with the team until 2020 has been a surprise for fans, but the factory team seems to have complete faith in Rossi and his ability to pull a podium out of the bag, even when things don't look they'll go his way. Maverick Vinales after two seasons in the premier class with Suzuki, moved to the Movistar Yamaha team in 2017. He seems to have a better shot at the title from here, despite his erratic performances this season. He's clearly impressed the Yamaha bosses enough for him to stay on at the team until 2020. Andrea Dovizioso seems more comfortable aboard the Desmosedici GP18 than his team-mate and has just signed a two-year contract with them, which sees him through till the end of the 2020 season. Dovi has also made a run at leaderboard starting the season opener with a win, but he is 49 points behind leader MM93 after a DNF in France. Danilo Petrucci had recently said that the Ducati team's second spot would either go to him or teammate Jack Miller, as Ducati has given a substantial salary upgrade to Dovi after his 2017 championship campaign. Petrucci provided Ducati one of their three podium finishes so far in the season, and so he has been offered Lorenzo's spot on Factory Ducati Team. Alex Rins, meanwhile, has a two-year extension on his contract with the Factory Suzuki team. Although bogged down with injuries last season and three DNFs out of five races this season, Rins has also managed to score a podium, helping him retain his value for the team. His contract with Suzuki extends till the end of 2020. Johann Zarco has been very, very impressive since his rookie season last year. While he has been working to dial in his Monster Yamaha Tech3 race bike so far, he's impressed the factory KTM team so much that they've signed him on starting the 2019 season. He will continue with the team until the end of the 2020 season. Pol Espargaro has also been given a two-year extension on his contract with the factory team. This comes on the back of some top 10 and more top 20 finishes since 2017 aboard his number 44 KTM. Aleix Espargaro remains with the Aprilia Gresini for two more years, which sees him through to the end of the 2020 season. He had moved to the Aprilia team from Suzuki in 2017. If he can finish on the right side of the top 10 more often, Espargaro could very well be a great development rider for this growing team. Miguel Oliveira will graduate from his current Moto2 run to the premier-class with the recently announced Tech3 KTM team that will run factory-spec KTM bikes for the 2019 season. The Tech3-Yamaha split may be an emotional breakup, but what rises out of it could hold promise in the MotoGP of the future. Hafizh Syahrin came in from Moto2 this season as a last minute replacement for Jonas Folger, and is already in the running for top rookie. His riding has impressed the Tech3 bosses enough to take him along for the switch from Yamaha to KTM, as their second rider for 2019. Cal Crutchlow remains with the LCR Honda team until the end of the 2019 season. He is doing rather well, be it pre-season testing, his 8th overall standing, or his miraculous recovery from the qualifying crash in Le Mans, or, most importantly victory at Argentina after which he briefly was in the team of the championship standings. Already 32, Cal shows the younger boys what true grit is every once in a while. Franco Morbidelli stays with the Marc VDS Honda team until the end of 2019, with the option of an extension up to 2020. Francesco Bagnaia is the Moto2 sensation who has won over the folks at the Pramac Ducati team. He's impressed them so much that it's even landed him a spot in the premier class for the year 2019. The 21-year-old might have been snagged by Yamaha if the Italians hadn't reacted so quickly. As of now, he's got a ride till the end of 2020. Jack Miller's contract expires at the end of 2018. So, as Petrucci stated, either Miller or he might take up the second spot at the factory Ducati team with Dovizioso on a two-year contract. This more or less puts Miller back at Pramac. Andrea Iannone has a contract until the end of this season with Suzuki factory team. But it is likely that he will sign with Aprilia instead of Scott Redding. Iannone's position may be filled at the Japanese squad by 20-year-old debutante Joan Mir, whose pre-contract with Honda has just lapsed. That may complicate things for Lorenzo, who was also linked to this particular seat. Scott Redding may well be on his way out of the Aprilia team at the end of 2018, where he might just be replaced with Andrea Iannone, who in turn may be replaced by young Joan Mir at the Suzuki team. There is no announcement of Redding's contract renewal or of a move yet. Dani Pedrosa's contract with ends with the 2018 season, and will not be renewed for 2019 as announced recently. The team had been considering reigning Moto3 champion Joan Mir who recently signed a pre-contract with them. Meanwhile, Pedrosa leaves the factory team after 13 years and finishing Championship runner-up thrice. Where will he go next? We are yet to find out. Joan Mir is to make his MotoGP debut in 2019. However, there is no announcement yet. Honda, Ducati, and Suzuki had been interested in this young talent, but an official announcement is yet to be made. Bradley Smith loses out, being bumped out of the Red Bull KTM team by Zarco. His contract with KTM is up this season-end, and there is no announcement yet of where he might end up. Takaaki Nakagami awaits a contract renewal with the HRC for the LCR Honda team which may come sooner or later. There is no news yet. Thomas Luthi's contract with Marc VDS Honda ends at the end of 2018. More news awaited.